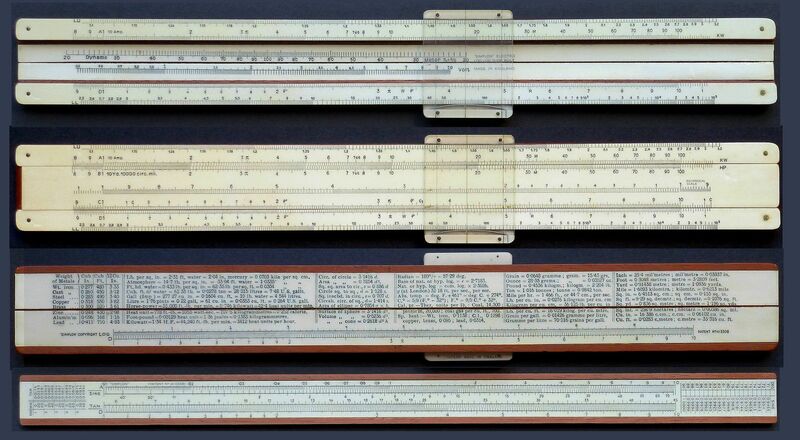 England was the home of John Napier (1550-1617), Edmund Gunter (1581-1626), William Oughtred (1575-1660), and many others, giving the British the credit for kicking off the development of the wide use of slide rules and calculators based on logarithims. 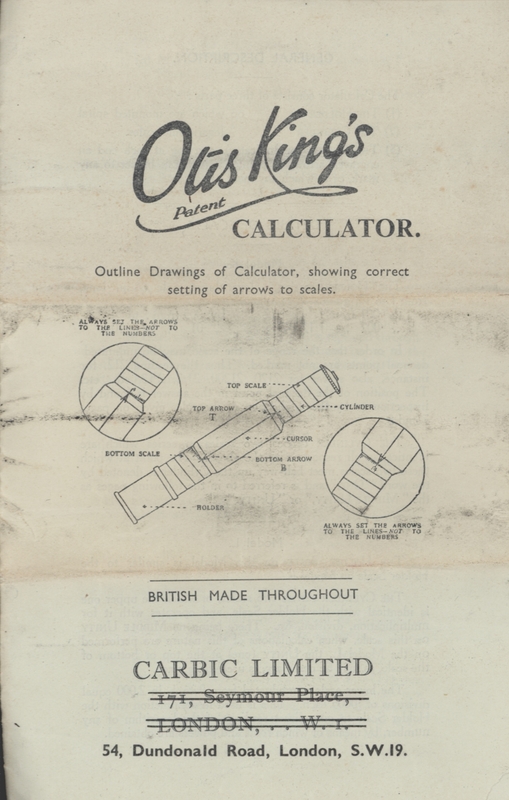 This gallery shows British based manufacturers and distributors in the United Kingdom that do not have their own gallery. 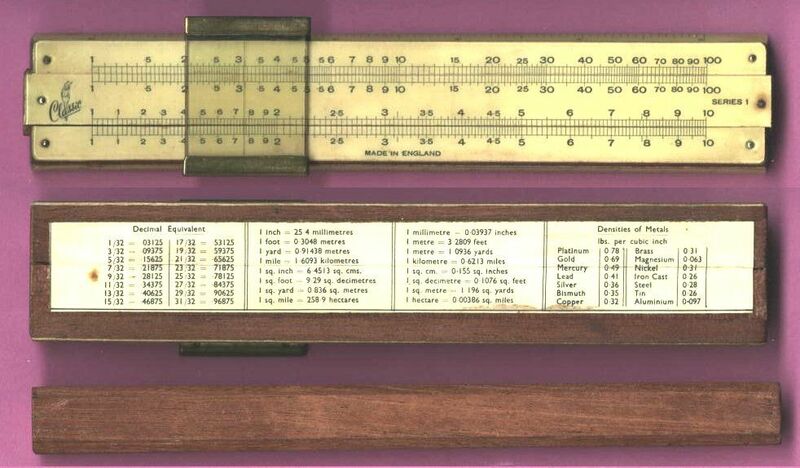 More British slide rules may be found in: Blundell-Harling (BRL);Pocket Watches; Rarities; PIC/Thornton; Unique. 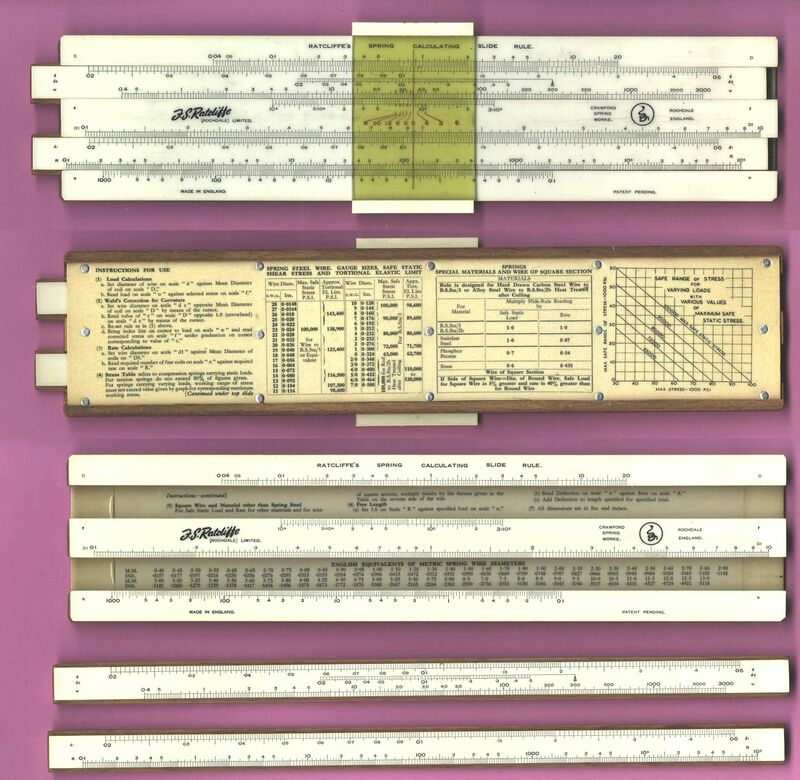 Note that Jakar Slide Rules made by Fuji intended for the British market are shown in the MiscJapan Gallery. 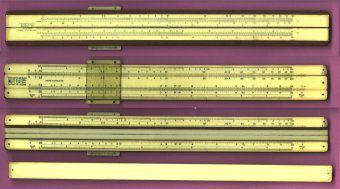 Note: CR is usually shown as C1 or R. M & N are usually denoted LU & LL or LL2 & LL3. 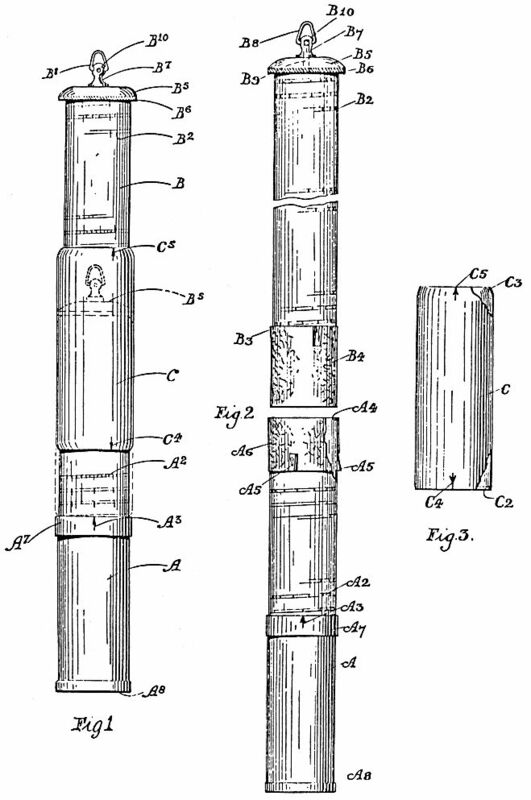 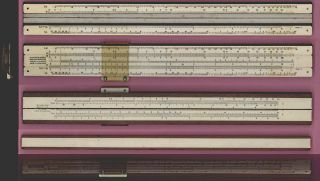 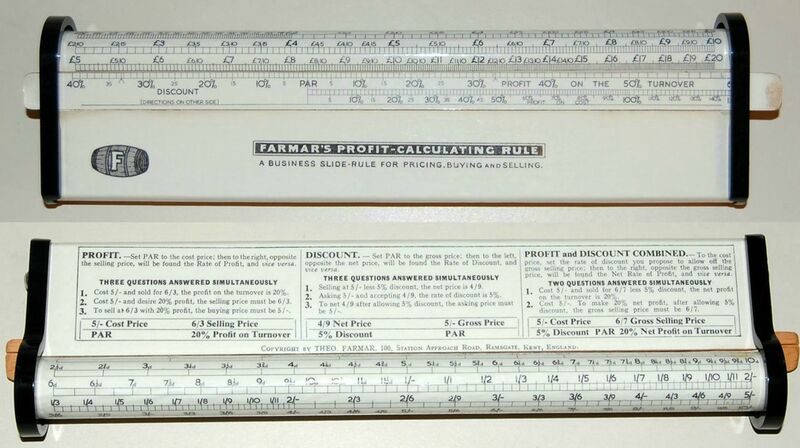 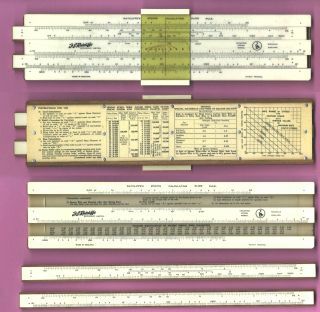 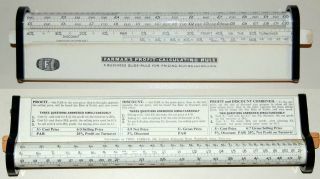 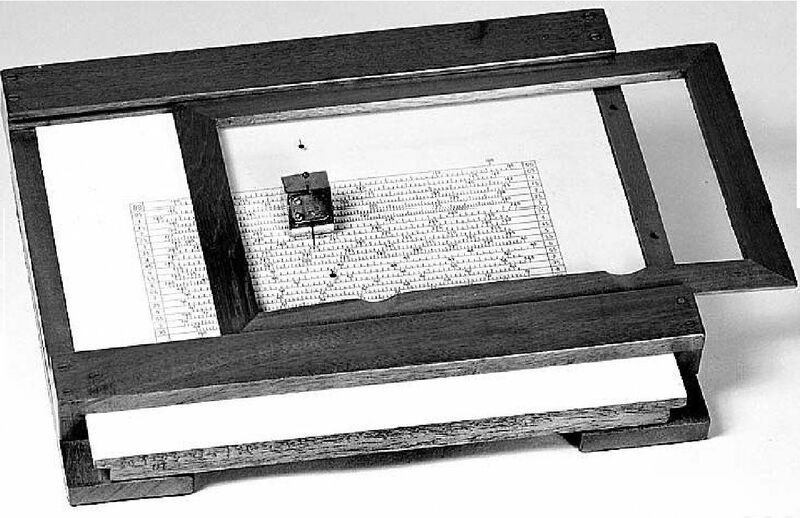 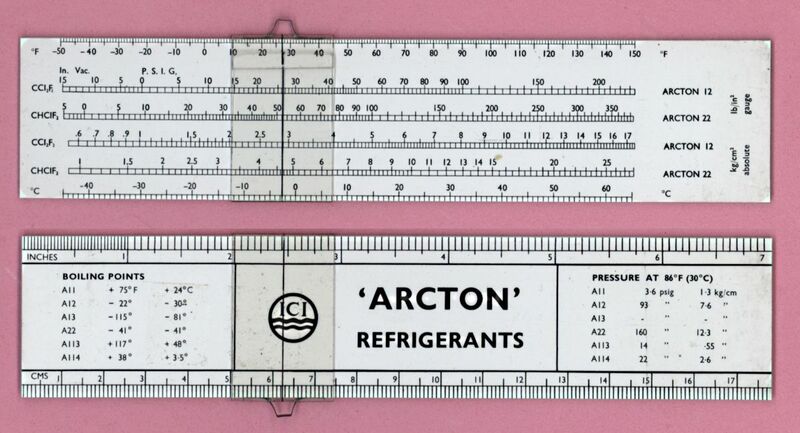 Referencing Peter Hopp, "Slide Rules, Their History, Models and Makers" "Classic" slide rules were manufactured by L&C Hardtmuth, one of the world's oldest manufacturers and suppliers of Pencils, not to mention the second largest company in Europe. 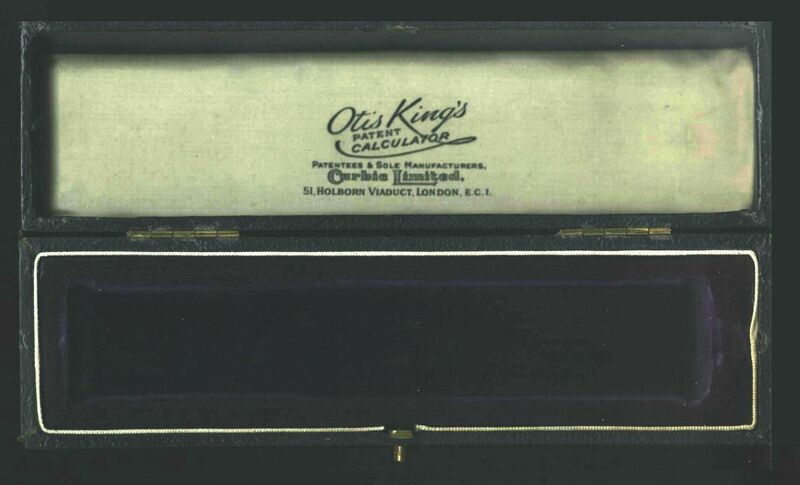 It later became Koh-i-noor. 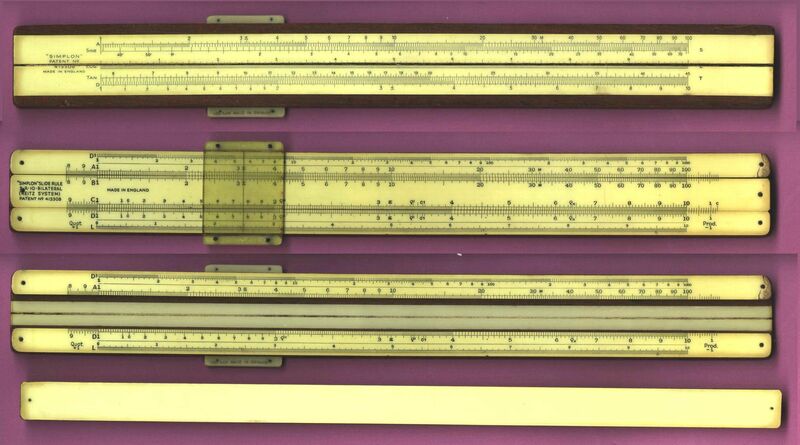 Archive - Scan by Nathan Zeldes, Israel. Made in Japan for Helix Works, Stourbridge, Worcestershire, England. 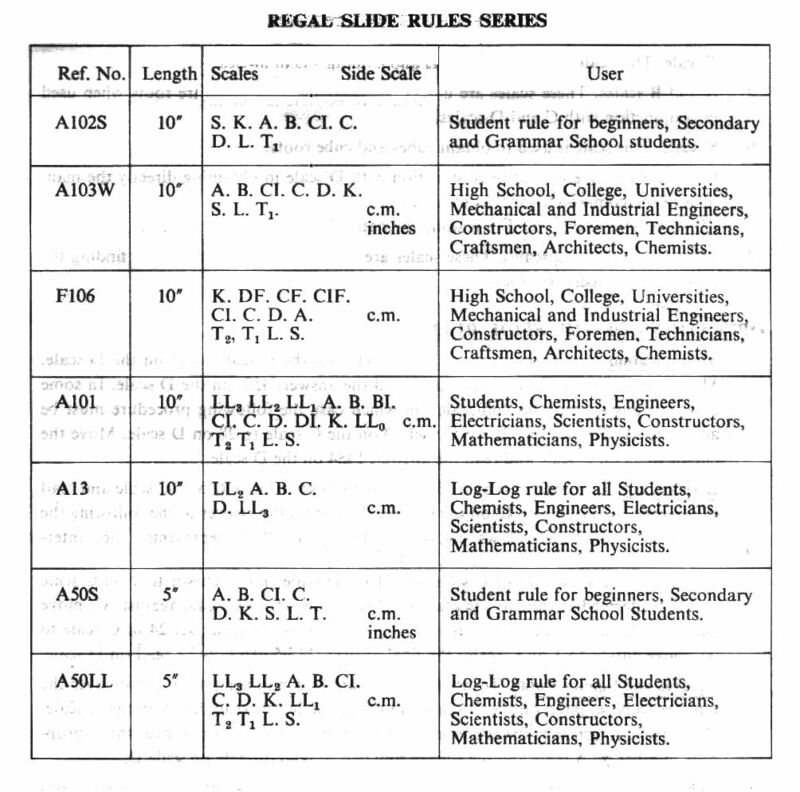 Note: Both the Regal and Hellerman slide rules use the same cursor and may be swapped with each other. 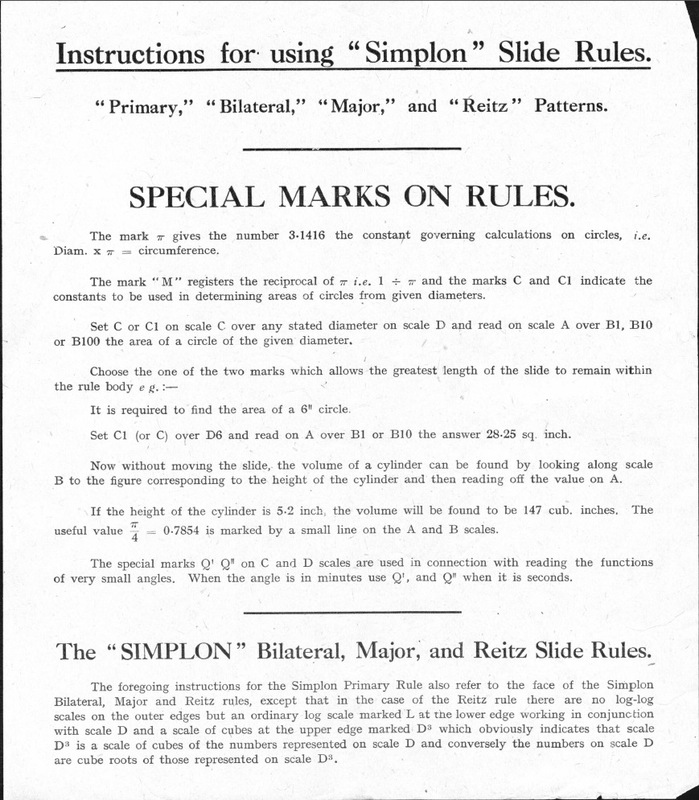 Helix Regal series Instructions (2.1MB pdf). 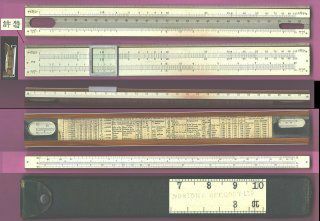 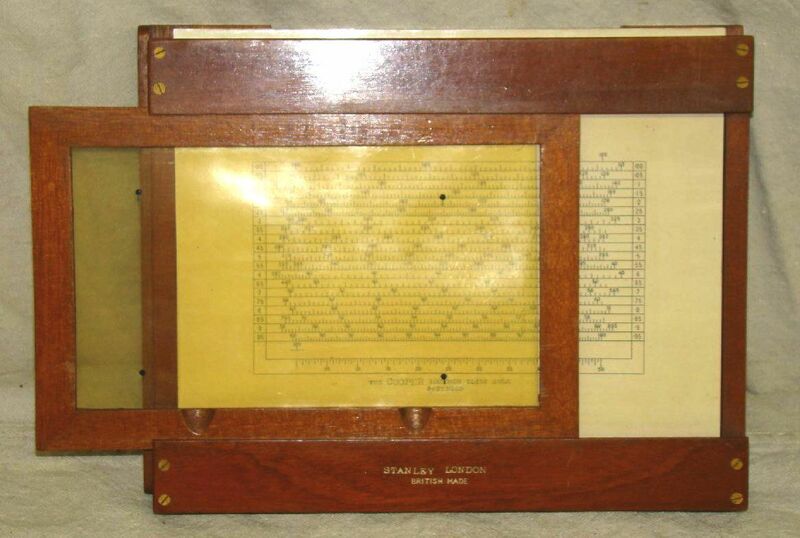 Esmond Hellerman imported and distributed slide rules from Japan, Denmark (UTO) and Czechoslovakia (Logarex) as well as numerous other drafting and engineering instruments. 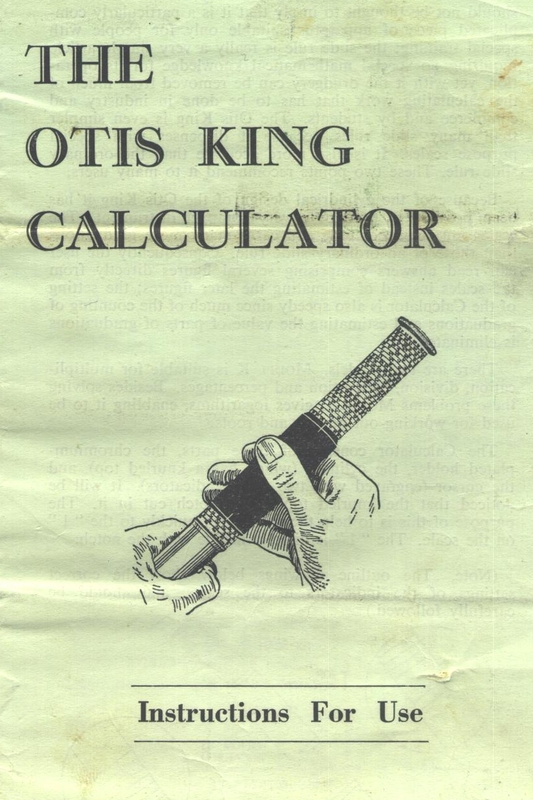 The business lasted 29 years. 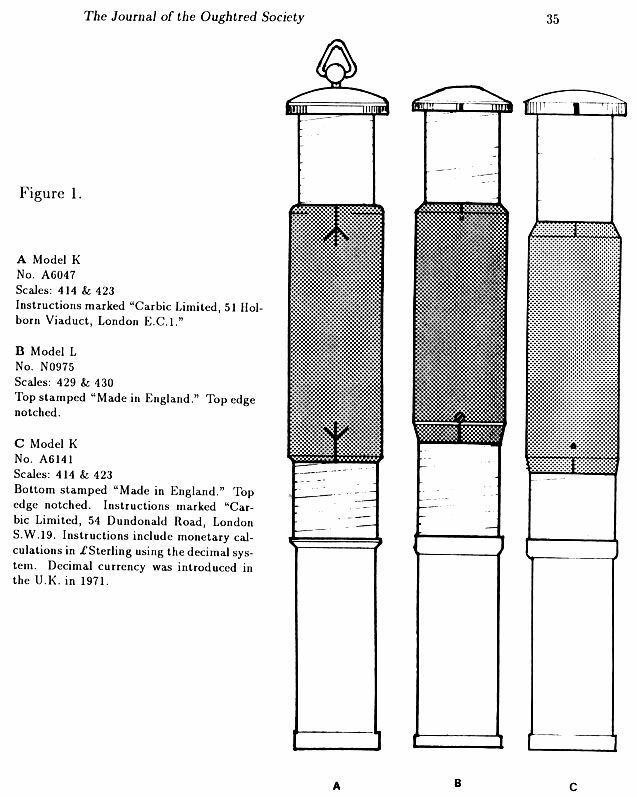 Imperial Chemical Industries (ICI) was a British chemical company and was, for much of its history, the largest manufacturer in Britain. 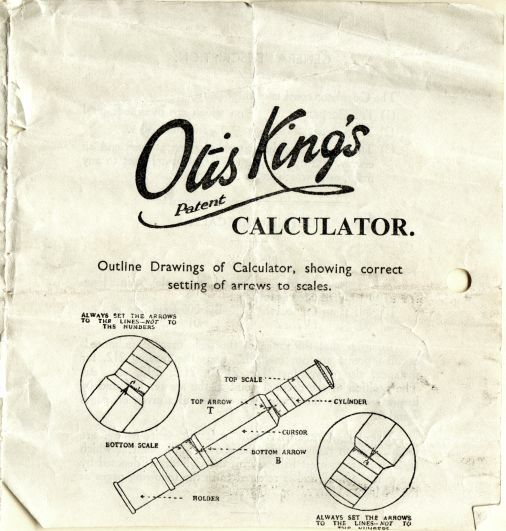 It was formed by the merger of leading British chemical companies in 1926. 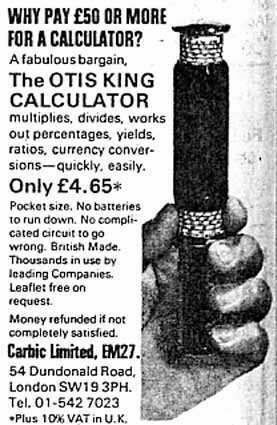 Its headquarters were at Millbank in London. 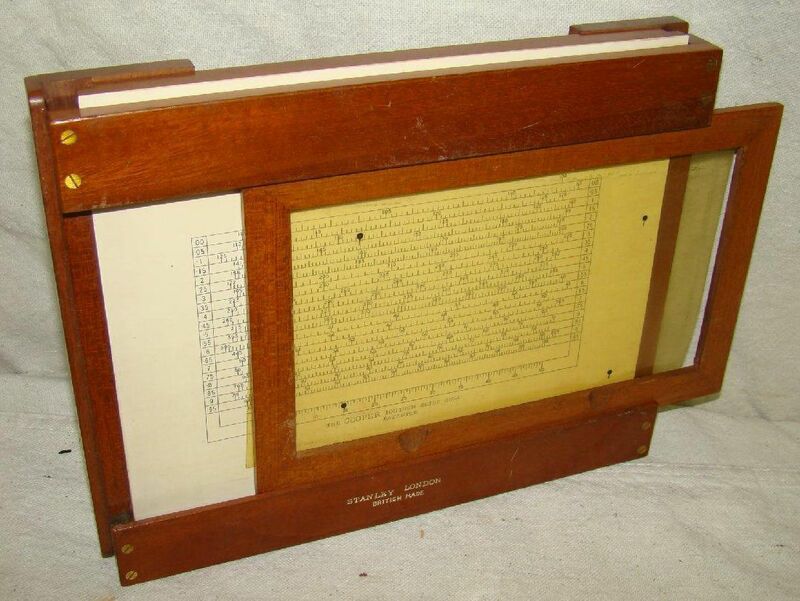 Philip Stanley retired from engineering to become a full-time dealer in and appraiser of antique scientific instruments and tools as The Analytical Engine. 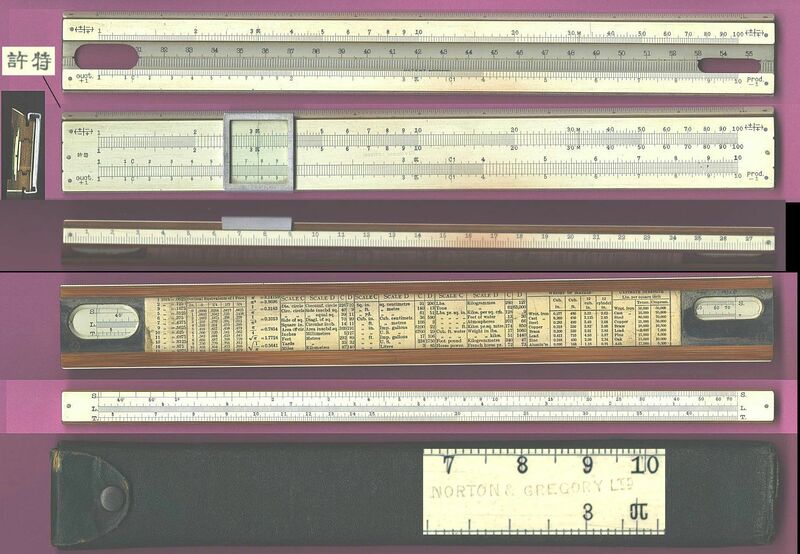 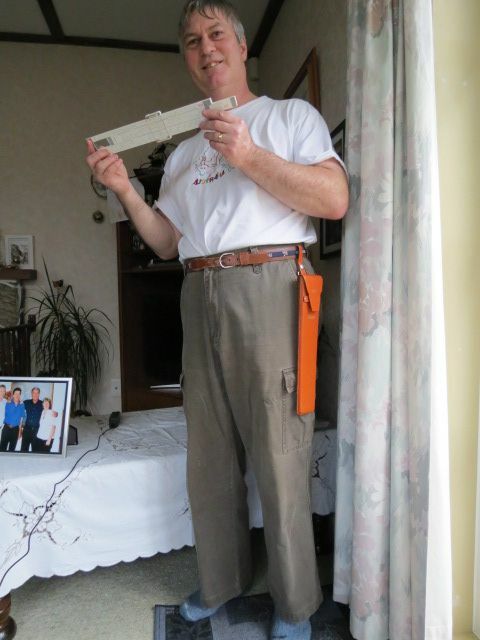 He has written two books on antique measuring instruments, and numerous articles on instruments and technology, and has given several talks on these subjects. 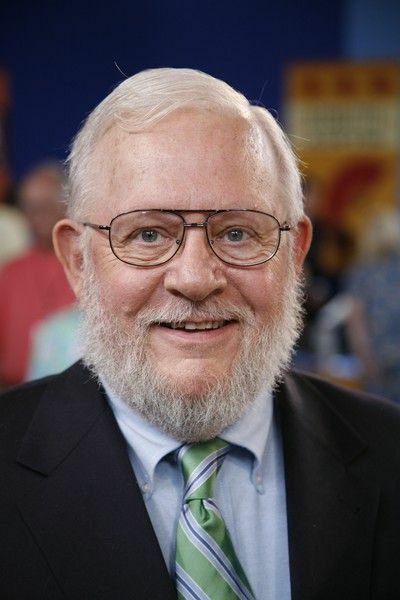 Phil appeared on the Antiques Road Show on PBS, as an appraiser, in 2012, 2013, 2014. 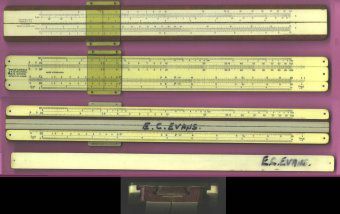 Scale effective length 66 in (168 cm) with 4 significant figures. 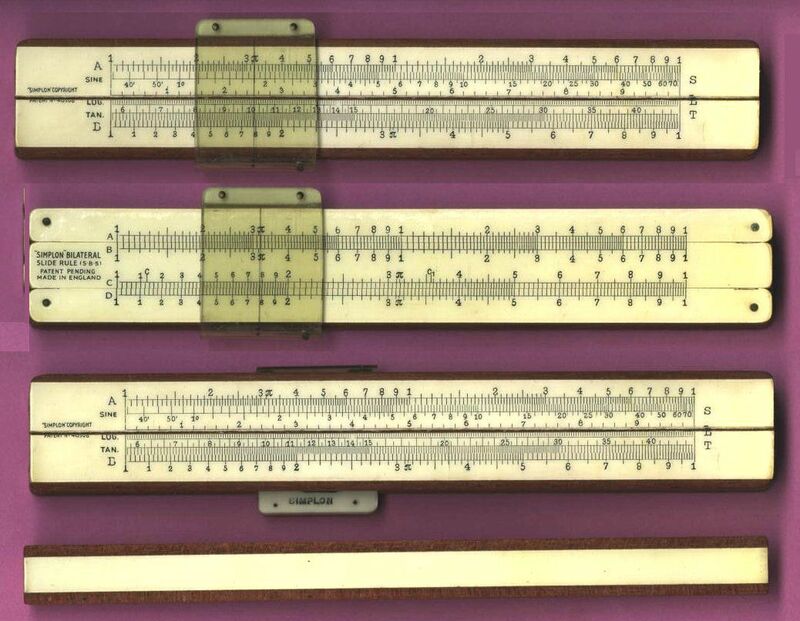 Known Models: K, L, N.
Material: Polished hardwood fixed with brass screws and with white celluloid (early plastic) calculating scale. 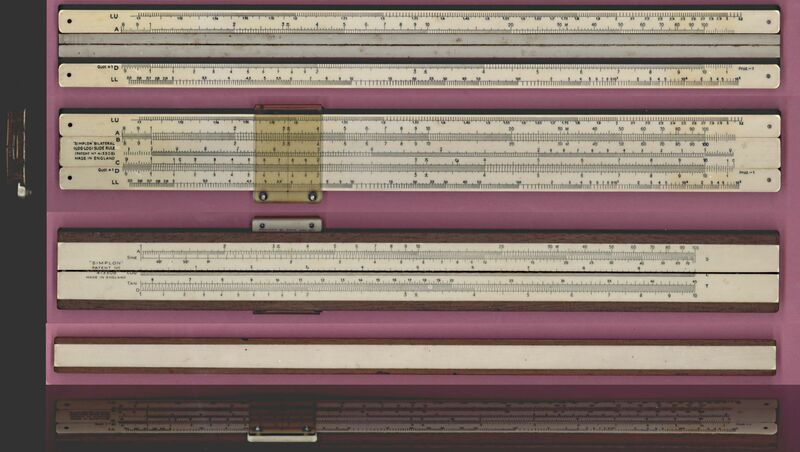 The cursor is metal.